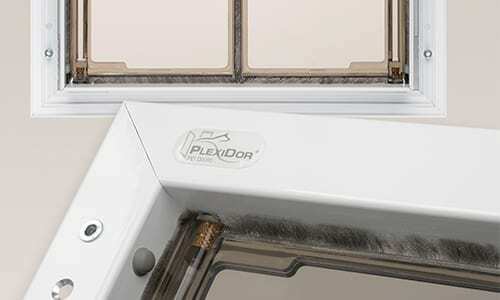 The PlexiDor Wall Series pet door is the perfect solution when installation into an exterior door is not applicable. 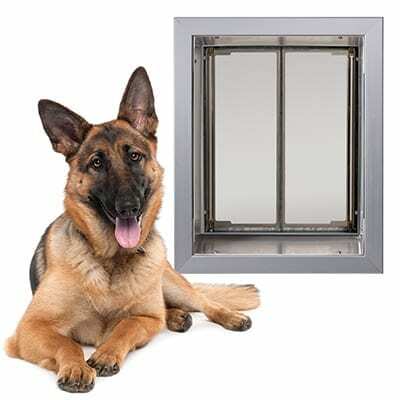 The Wall Series can be installed in a location that allows your pet access to the backyard using the patio or deck. 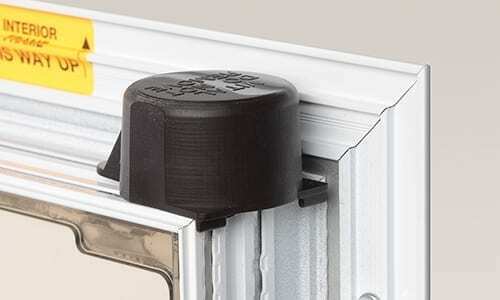 Perfect solution when installation into an exterior door is not applicable. Choose the Size for Your Breed – The PlexiDor Wall Series and Door Series pet doors are available in four sizes: Small (SM), Medium (MD), Large (LG) and Extra Large (XL). We have a size to fit your breed. Refer to the PlexiDor Size Chart for more information. Select a Frame Color – Choose from three attractive and durable frame finishes: Silver, White or Bronze. The Silver frames are anodized. The White and Bronze frames feature baked-on powder coating similar to the appliances in your home. View the PlexiDor Color Swatches to see details. 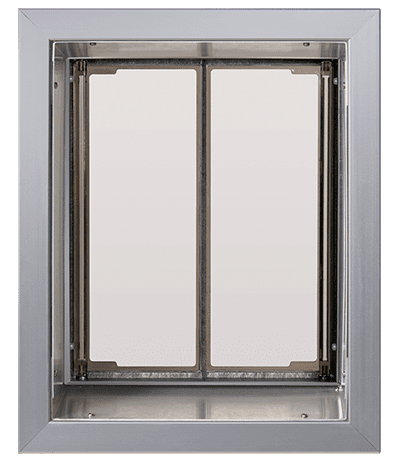 A PlexiDor Wall Series pet door can be installed into stud, brick, block or cement exterior walls up to 12 inches thick. 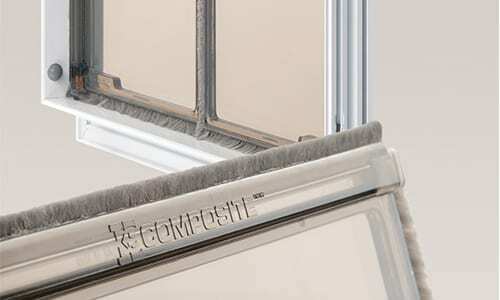 Each wall unit includes an aluminum tunnel kit that connects the interior and exterior frames. The tunnel materials ensure a professional fit and finish that provides a quality appearance for your home. The bottom section of the wall tunnel has an outward slope to prevent water from entering your home. The tunnel will not rust, has no sharp edges and is easy to keep clean. Your pet will love the freedom of going outside when he or she wishes. You’ll enjoy the peace-of-mind while you’re away at work during the day or when you’re home at night relaxing without being disturbed. Since 1985, PlexiDor has been manufacturing pet doors at our facility in Bradenton, Florida. Throughout our history, our product development team has worked closely with extreme users to engineer a strong, safe, energy efficient and dependable product. 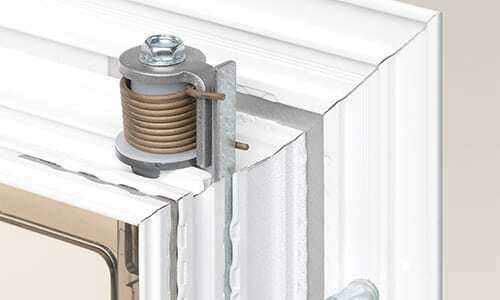 PlexiDor Pet Doors are manufactured to provide years of trouble free use and feature a 10 Year Warranty. Call our Customer Service for more information or for answers to any questions you may have: 1-800-749-9609. I had one of these doors for 12 years in my first house and I’m going on 7 years at the house that i’m in now. They are the best thing out there. Easy to use, keep the a/c in in the summer and the heat in in the winter. Worked great in Vermont winters and now in South Carolina summers! Dogs learn to use them easily and love the freedom. With a fenced in yard at both homes the only thing that came in that wasn’t supposed to was my neighbor’s toddler once. I’ve never had to repair either and only needed to replace the weather stripping once. would recommend to EVERYONE. oops – that should have been 17 years, not 27 years. I rescue (English) Bull Terriers. These doors really are indestructible! I’ve used the Plexidor in 3 different houses over the past 27 years. They stand up summer heat and wintery blasts of cold air – they keep it all out. My dogs hit these doors at a full run and blast right through them. No problem. You can buy cheaper doors and pay over and over for heating and air conditioning leak, plus the cost of frequent repairs – or just buy these and be happy you did! I have had the wall series installed in two central Florida homes at two different times for my large golden retriever. She loves going through it and it works perfectly. Does not let in the HOT Florida heat or humidity through it at all. 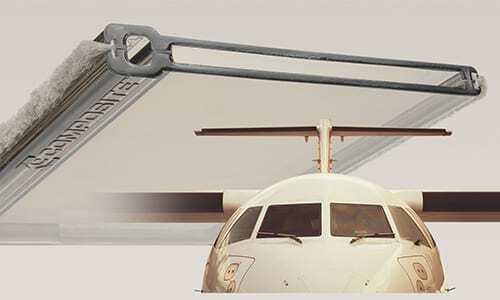 It also locks when wanting extra security such as when you are on a vacation or when you don’t want your dog going through it (when I was having a large tree removed in the backyard). It was installed through a poured concrete wall too. Great customer service and great product. I wish other companies would work the way these guys do. We have large dogs. They run in and out very fast and this door really stands up to the abuse. We have been so pleased that when our son was building a house and needed a door for his large dog, he purchased the same model. Great customer service. Great company. Quality products. You will not be disappointed. These doors are by far the best. 9 rescue dogs – 6 xl Bloodhounds & 3 Pitties. 100 times plus in and out everyday. Installed over 5 years ago. I don’t know how we ever lived without them…..happy dogs & happy owners. The company’s customer service is beyond excellent. 10 yr warranty. We also have -40 temps – never a problem. The absolute best investment I ever made. Best dog door made. Have owned just about every dog door made. Spent just under three thousand dollars on various through the wall doors. Never had anything last a full year. Installed Plexidor two years ago. No malfunctions, no failures. Have two very high power Springers bred for field. They do not walk thru the door. They launch at mach 3. Our climate runs from 100 to -40F. Winds over 50mph. This is a far superior product to anything else on the market.